Patio Cleaning Glasgow from Eco Driveway Cleaning. We have been restoring patio areas for customers for years. Allowing our customers to sit back and enjoy their outdoor space and leave the dirty work to us. Eco Driveway Cleaning are a local, family run business, owned and operated by Craig Greig. Our aim is to provide the highest standards of Professional Patio Cleaning throughout Glasgow, Bearsden, Clydebank, East Kilbride and Hamilton. Eco Driveway Cleaning have earned a reputation for its expertise and for delivering a reliable, friendly, professional cleaning service. Using the latest professional high pressure equipment available to the market. Powerful petrol pressure washers combined with rotary cleaners. This ensures your patio will receive the best clean possible, while keeping the mess to a minimum. Our approach will leave your patio looking great again and leave you to enjoy your outdoor space this summer. Your whole property will look cleaner, brighter and more welcoming to visitors. See our rotary cleaner restoring this patio in time for the summer. A new patio area can be a great investment. Adding value as well as improving the overall look of the property. This is important not only for business premises but also the family home, creating an important 1st impression for visitors. Great for sunny days to enjoy the outdoors with friends and family. Having made what can by a large financial investment it is essential your patio is maintained. 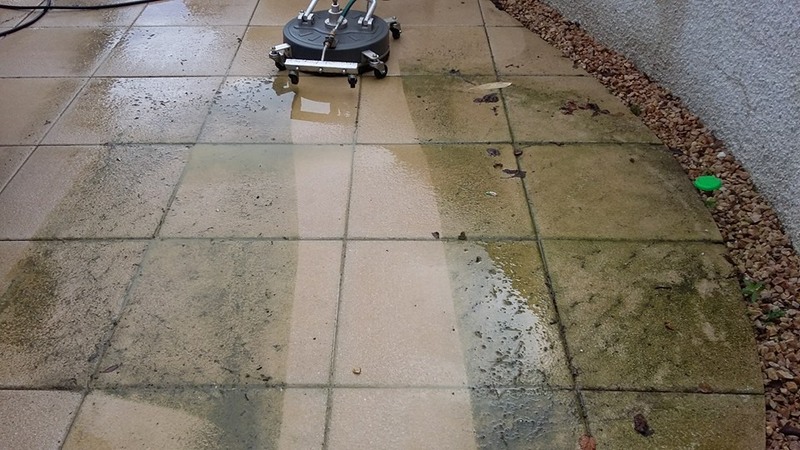 Eco Patio Cleaning Glasgow will help protect your investment by removing all the dirt, weeds, moss and algae which enhances the appearance of the patio. 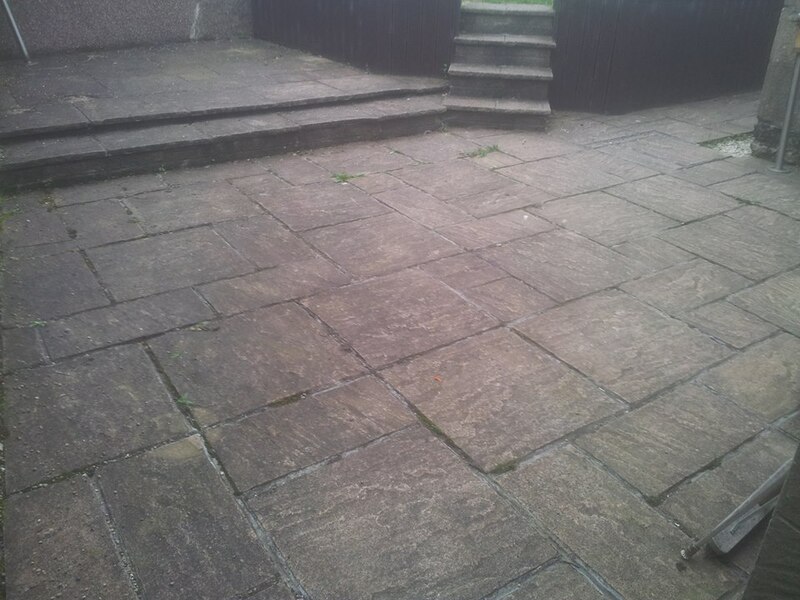 Make the most of your outdoor space this year and let us restore it to how it looked when it was 1st layed. It is a difficult and time consuming job removing all the dirt, weeds, moss and algae. Using our high pressure, professional equipment, we can complete this job in a fraction of the time that it would take you to do the job yourself with a store bought domestic pressure washer. We can complete the majority of domestic patios within a day, although a follow up visit is usually required to brush in the kiln dried sand. We always try to avoid using chemicals and will only do so in particular circumstances to remove stubborn stains including oil. In most cases our pressure washing approach and machinery are enough to restore your hard landscaped areas. Meaning you don’t have to worry about the environmental impact, plants or green areas. The majority of our cleaning work is carried out using only water at varying pressures to gently remove dirt and debris from the surface of your hard landscaping. If your driveway, patio or decking is looking a little worse for wear, why not let us transform it with a deep clean. We offer a free, no obligation quotation to all clients and we work effectively and efficiently to ensure that there is minimal disruption to your home or business. Contact us today to see how we can help. I’ve just had the guys out to clean our 2 car driveway and back patio, what an amazing job!!!! 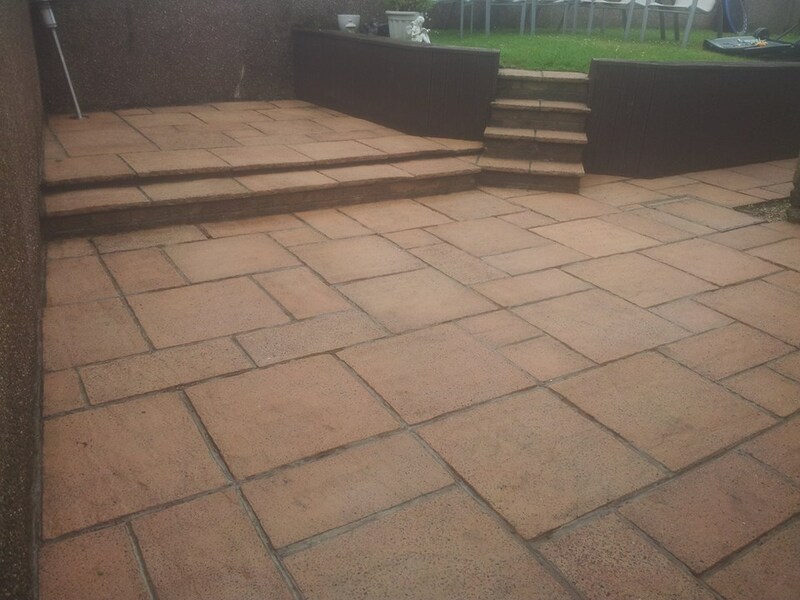 Recently had our back garden slabs, decking & monoblock driveway cleaned by Craig. Fantastic job carried out at a very reasonable price. Would definately recommend.